The files here are puzzles for a variant of Sudoku I like to call "Prosperity 7". 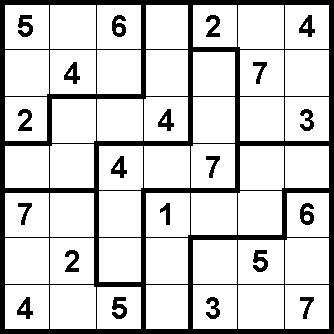 In this Sudoku variant, the board is only 7x7, and only the numbers from 1 to 7 are used. Neither 8 nor 9 are ever placed on this board. Also included is the code used to generate the puzzles.